This gingerbread latte tastes just like a special treat from a coffee shop and can be made easily right in the comfort of your own home. Feel free to use either actual espresso made from an espresso machine, or the more practical version made with an instant espresso powder. The recipe features one of my most favorite “superfoods”: blackstrap molasses. For some, it’s an acquired taste, but I have adored it as soon as I first tried it. The flavor of blackstrap molasses is similar to regular molasses; yet it is also chock-full of vitamins and minerals, such as iron, calcium, potassium, magnesium, manganese, selenium, and B6. You’re sure to get a boost with this latte, even if you use decaf espresso! Note: Use any sweetener you choose (or go sweetener free!) but I love the dark caramel flavor of coconut sugar juxtaposed with the fiery spice of fresh grated ginger. In a small saucepan, whisk together the unsweetened almond milk, ginger, cinnamon, cloves, and coconut sugar. Stir constantly while heating over medium heat until very hot, yet do not allow it to reach a boil. If using instant espresso powder: In a large mug, or 2 small mugs, combine the espresso powder with water (for a small mug, only add 1 tsp espresso powder + 2 tbsp water per mug) and stir well.​ If using an espresso machine: make the espresso according to manufacturer's instructions. I recommend using 2 shots (double espresso) for this recipe, but feel free to adjust accordingly to your preferences. Pour the espresso into 1 large or 2 smaller mugs. Place a strainer over the mug/s holding the espresso and then carefully pour the hot almond milk mixture over the espresso. Stir well to mix the hot almond milk mixture into the espresso. 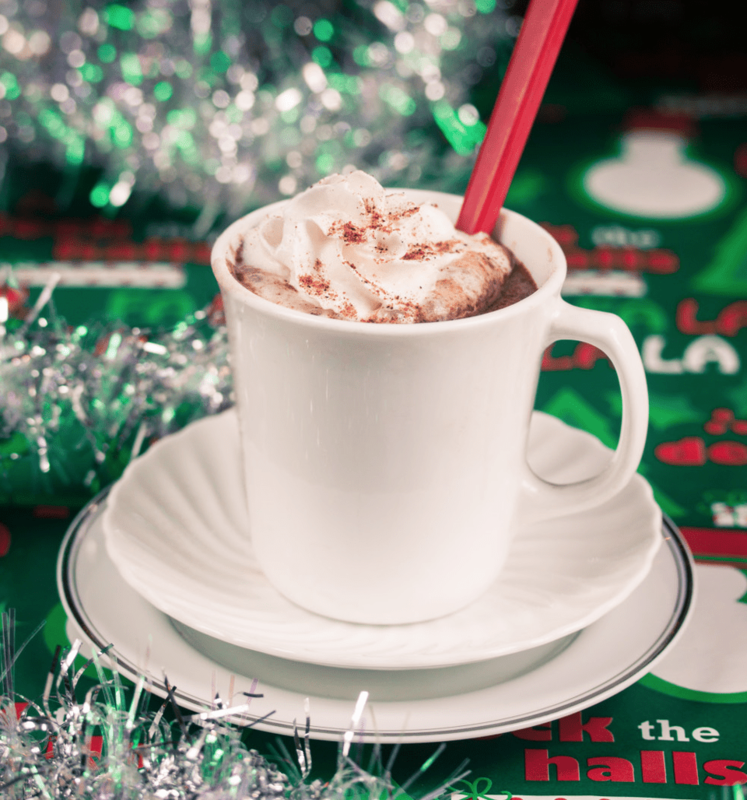 Top the latte with whipped non-dairy cream, such as coconut, and sprinkle with a touch of nutmeg and cinnamon. Enjoy hot and store any leftovers in an airtight container in the refrigerator. Feel free to enjoy the leftovers cold, or simply heat over medium-low heat until the desired temperature is reached.